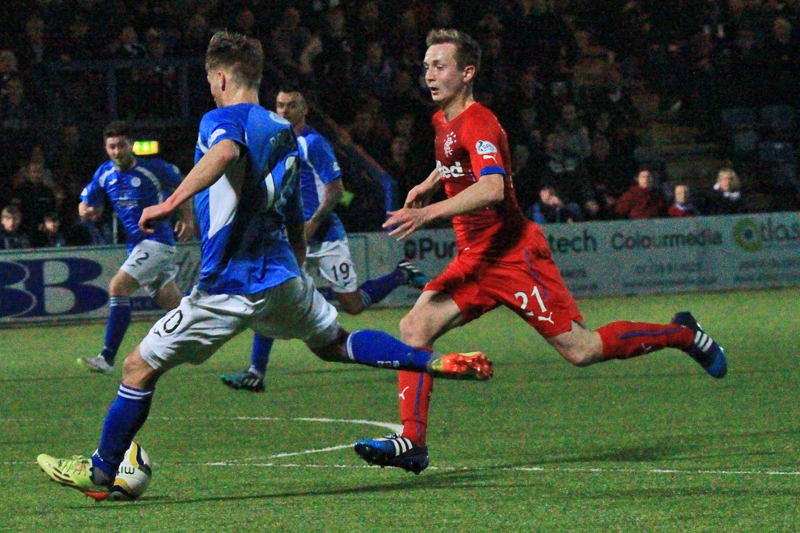 Queens moved back into fourth place in the Championship table with a stunning 3-0 win at Palmerston tonight as the home side ended the recent good run of a rejuvanated Rangers side with a display of solid defending, and excellent counter attacking football. A goal ahead at the break, it took Queens less than two minutes to double their advantage, and although the visitors had plenty of possession, and indeed numerous half chances, a third goal for Queens midway through the second half sealed the victory. Following the excellent win at Easter Road at the weekend, boss, James Fowler, made just one change to the starting line-up, with Lewis Kidd replacing Michael Paton, and Iain Rrussell returned to the matchday squad following his recent injury. Visitors Rangers, unbeaten under new manager, Stuart McCall, included former Queens players, Lee Robinson and Nicky Clark in their starting line-up as they attempted to climb back into second place in the Championship table. With so much at stake in the game for both sides, understandably the opening exchanges were quite subdued, although it was the visitors who had most of the early possession. With Queens defending pretty deeply from the start, it soon became clear that the game plan was to try and hit Rangers on the break via the pace of both Gavin Reilly, and Danny Carmichael, and once or twice early in the contest there were some encouraging signs for the home fans in the crowd of 5093, as both players almost got themselves in behind the Rangers defence. Home `keeper, Zander Clark had to react quickly to a short pass in the opening minutes, and he took a bit of a knock to his leg after a collision with Rangers` striker Nicky Clark, but fortunately there was no lasting problem for the Queens number one. However the first attempt at goal came for the visitors on 14 minutes when a cross from Murdoch dipped at the last minute and caused Zander Clark to adjust well to tip the ball over for the game`s first corner. 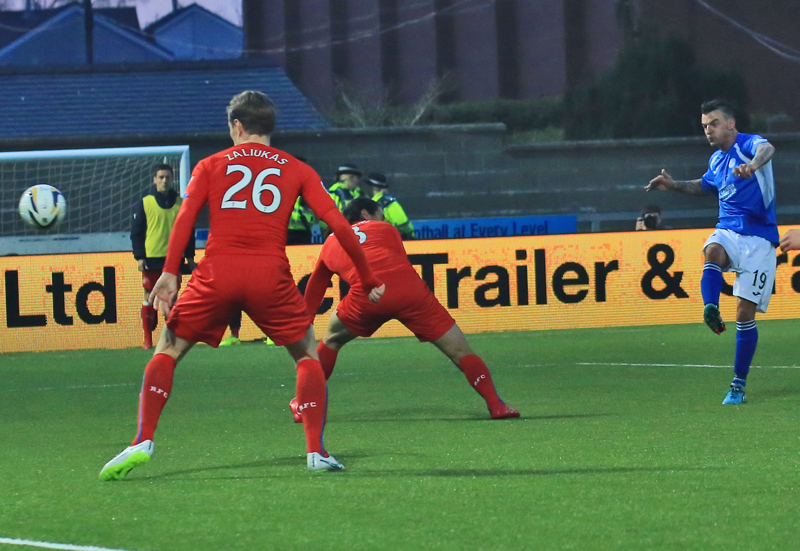 From the short corner, Wallace saw his cross flicked over by Clark as Rangers looked to make the early breakthrough. The visitors were slowly starting to take more control of the game, and a shot from Templeton was not too far away from opening the scoring after he cut in from the left wing before driving his effort just over the bar. 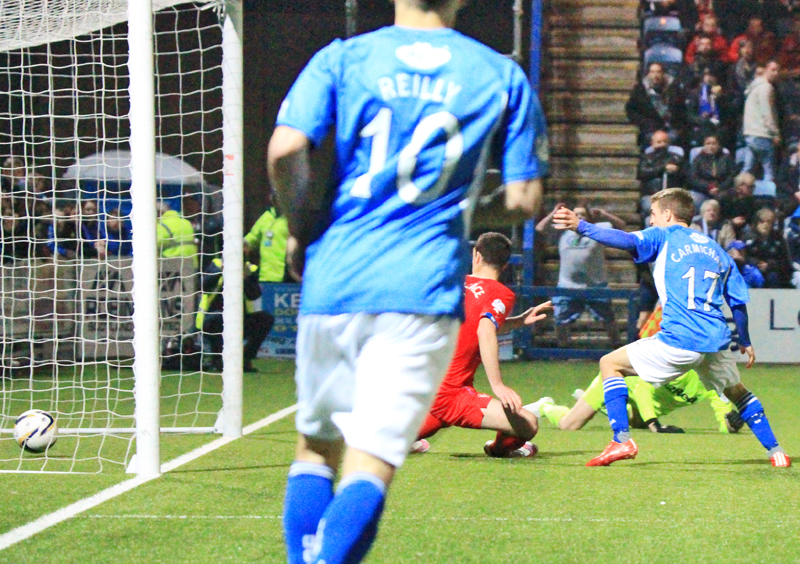 Queens first attempt at goal arrived on 24 minutes when Ian McShane`s drive from just outside the penalty area was charged down,with the ball just being gathered by `keeper Robinson as Derek Lyle waited to pounce. The striker, Queens joint leading scorer so far this season, was soon involved in the game again as a quick break from the home side saw them take the lead on 33 minutes. After breaking clear on the left, Carmichael delivered a superb cross-field pass that picked out the unmarked Kidd on the right. Kidd`s first touch took him into Wallace and as the pair clashed and with most of the home fans appealing for a foul, play continued and Kidd picked out Derek Lyle who flicked the ball up before smashing a right-foot volley across Robinson and into the bottom corner. The goal probably came against the run of play, but it certainly inspired Queens. Two minutes later, the home side might have doubled their lead when Reilly broke free, but his low drive was held by Robinson, diving to his right. The visitors responded well and a cross from McGregor looked to pick out the fast approaching Clark, but namesake Zander, just managed to punch the ball away ahead of the Rangers striker for a corner. From the resulting set-piece, Rangers went very close to gaining parity, but fortunately for Queens, Miller`s looping header from Vuckics` delivery bounced off the crossbar. For all the possession that Rangers were having, Queens were defending really well, with Chris Higgins, and Andy Dowie, winning just about every high ball that was delivered into the penalty area, and even when the visitors won a succession of quick corners towards the end of the half, the Queens rearguard stood firm. There were strong claims from the Rangers players for a penalty as the interval approached when Mark Durnan clashed with Wallace inside the area, but as the two players came together, it was clear that Durnan had played the ball before the players fell to the ground. Moments later the half-time whistle sounded and the home side left the pitch to a well deserved standing ovation. If the first half had been good for Queens, less than two minutes after the re-start, the situationit got a whole lot better as the hosts doubled their advantage. The pace of Reilly saw him break clear down the left and although his well placed low cross into the six-yard box was missed by both Lyle and Carmichael, Kidd had managed to make up ground at the far post and was able to play the ball back into the danger zone where it deflected off of the Ranger`s captain, Lee Wallace and rolled over the line. It was just the start to the half that Queens would have wished for, and from then on in, the game plan of playing on the counter attack worked even better as Rangers pushed further forward to try and get back into the game, and on several occasions, Queens almost profited. The pace of both Reilly, and particularly Carmichael, were serving Queens well, and with the experience of Lyle complementing both, the home side threatened to add to their goals tally each time they attacked, and on 68 minutes they were rewarded when they sealed the victory with a well worked, and calmly finished third goal. After losing the ball on the left, Kevin Holt did really well to firstly disposess substitute Crawford, and then exchange passes with Reilly to set the striker clean through on goal. With only Robinson to beat, Gavin Reilly kept his cool to side foot the ball between `keeper and near post to send Palmerston into raptures. That third goal was enough to send hundreds of visiting supporters to the exits, and although there were still twenty or so minutes left, it seemed that a good proportion of the Rangers support had seen enough.With 13 minutes to go, Mark Durnan pulled up injured with what appeared to be a muscle injury of sorts, and he was replaced by young Scott Hooper for the final minutes. The Queens defence were determined to notch up another clean sheet, and Zander Clark made two decent saves late on to prevent the visitors from gaining what would have been only a consolation goal. Rangers defender, Bilel Mohsni became the second player to be cautioned after reacting to the crowd by giving them a few uncalled for hand gestures, and Queens captain, Chris Higgins joined him in the referee`s notebook for a late challenge on 87 minutes.Young Jake Pickard replaced Derek Lyle, and Iain Russell returned from injury for the final few minutes replacing Gavin Reilly as Queens moved back into the last play-off place in some style. Sponsors gave their man-of-the-match award to Danny Carmichael, but in fairness the award could have gone to anyone. 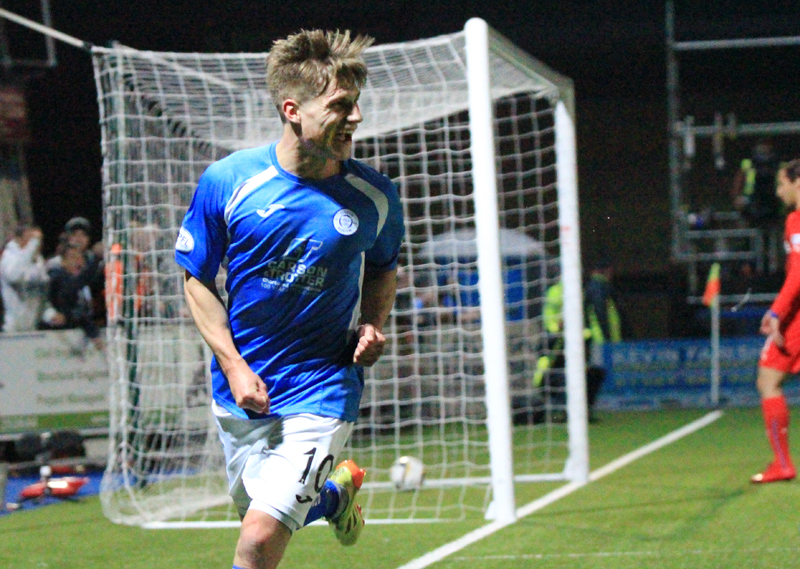 A fantastic result for Queens, and now it`s on to Sunday`s huge clash at home to Falkirk. 13 min Zander Clark tips Andy Murdoch`s cross over the bar for a Rangers corner. 17 min Templeton blasts over from 25 yards out. His effort never troubled Clark. 33 min Lewis Kidd stays on his feet and squares the ball to Lyle who calmly slots past Robinson. 1-0 Queens. 35 min Gavin Reilly almost doubles Queens` lead but Robinson makes a solid save. 37 min Nicky Clark`s header flies inches past the post. 38 min Kenny Miller hits the bar as his header loops over Clark. Half Time Half time at Palmerston and Derek Lyle`s goal just after the half hour mark separates the two sides. 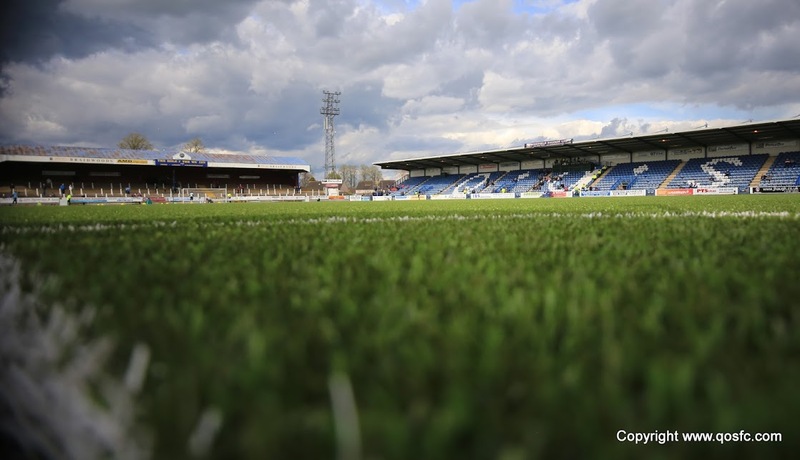 Half Time Today`s Attendance at Palmerston Park is 5393. Thanks for your continued support. 68 min Mohsni`s long range effort tests Clark, who parries the ball behind for a corner. 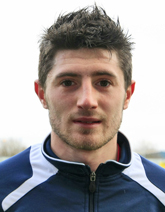 90+1 min Today`s Man of the Match is Danny Carmichael. 90+2 min Another fantastic save from Clark - this time from a Boyd header. 21:36 Three goals and three points for Queens, who now sit fourth, one point ahead of Falkirk with a game against the Bairns this Sunday. 21:37 Match report and reaction to follow as Derek Lyle, a Lee Wallace OG and a Gavin Reilly strike give Queens a 3-0 victory over Rangers.